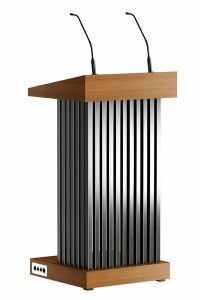 The lectern Step-up literally has a step. 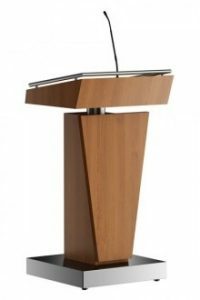 It gives the speaker an extra stature. 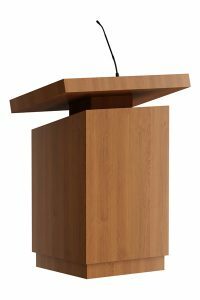 Made from a stainless steel frame and the podium (with a non-slip mat) is of wood with HPL cover. 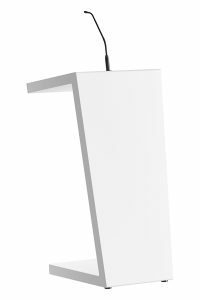 The desk is optionally available with two shock mounts with microphone and reading light. The finish of the colours and materials is entirely to match your interior.